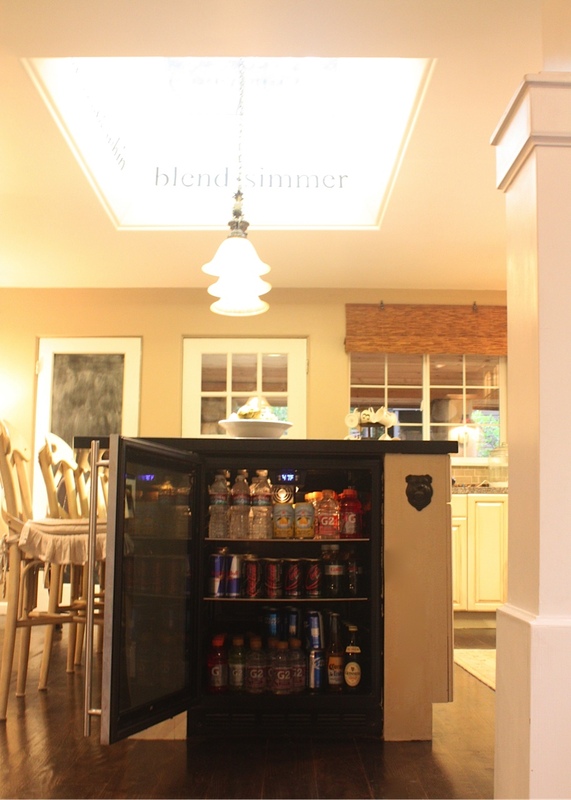 When we made our kitchen island bigger, one thing we added was a mini fridge. I LOVE it and am so glad we did it! 1~ It's perfect in the summer when the kids come in from swimming, they can quick grab a drink. 2~It's great for parties as an extra place to store beverages. 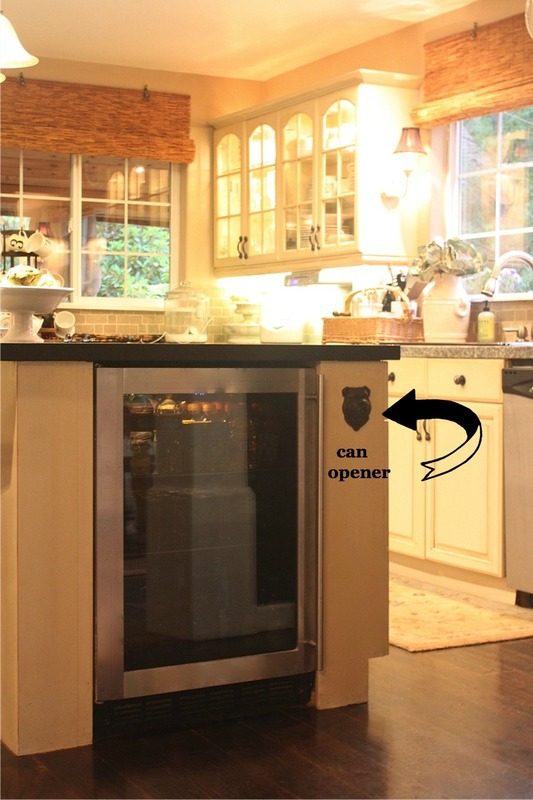 3~It also frees up space in the main fridge. 4~It's the perfect size for juice boxes. 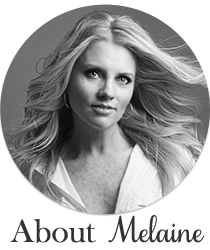 It might seem like a silly blog post, but I wanted to share, especially if you are remodeling/building, and are debating whether or not to add one. The fridge itself is nothing fancy~it's from Home Depot. Next to it we added the cutest little bulldog can opener from Pottery Barn. I don't think they sell it anymore, but here is a link I found for it. Anyway, I highly recommend squeezing one in somewhere if you have the room! A great idea actually! May have to use that one when I get my kitchen extended! I love your mini fridge sitting inside your island. We actually still have my husband's little fridge from his college days (many years ago). I have it tucked away in my laundry room because it is not very pretty, but it is oh so practical. I, too, recommend a little fridge for the very same reasons you suggested. I love the glass front beverage refrigerators! That looks so good in your kitchen. That is my plan of adding one to our little bar makeover someday. Glad to hear from someone else how useful it is. We have a wine fridge in our kitchen (added during our reno) and it is the best. Our little guy is still breastfeeding, so there's no need for juice yet, but we do keep other beverages in it as well. I, too, highly recommend a mini fridge!! Love that idea! We keep our drinks in a refrigerator in the garage, but it's not as convenient as yours. I love how that looks too! I have one on the "kids" side of the house. It's SO NOISY, and runs all the time...! I got it at Lowes and I'm disappointed with how loud it is... is yours quiet? We have a mini frig in the laundry room- for waters and drinks. I couldn't fit all that in our frig! You are so right. WHen we did our kitchen 5 yrs ago we added one. 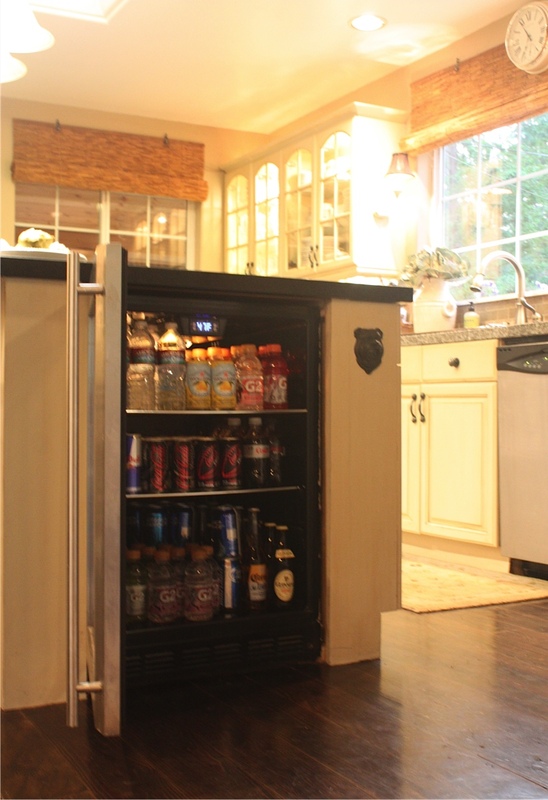 Each designer we spoke with said oh you must have a wine refrigerator....to which my hubby said how about a beer fridge? Anyway his bottles of Sam Adams fit just fine with all the waters and juice boxes and my occasional bottle of wine can slide right in. This was one of the best things we did. I adore your lovely kitchen! I have to wholeheartedly agree on the beverage/overflow mini fridge concept. As our kids get older (almost 16, 12 1/2, almost 11 & 2 1/2), I've realized we need a true beverage center in our home & a lightening of the load in the kitchen for the increased produce consumption. Our kitchen doesn't have enough space for an additional fridge there (even mini sized). Soon we will welcome a new wet bar with hot/cold beverage center to our long, narrow dining room. The only last consideration I have is to figure out ice making/storage there, LOL. it's prob my favorite element we incorporated into our kitchen's design. perrrrrrfect for teens and their posse. I so wish my kitchen was big enough for an island! But I have my eye on a cuboard I could sacrifice to add a cute little fridge like this! love this fridge in your island...you guys are so creative. If only I have a large space to add extra space.I would love to add small fridge like yours.Because my kids when back home from school they went to fridge and grab some drinks. waooo!! its awesome idea. GOD Bless you! Can you tell me what the brand name is of the mini fridge? Thanks! When my co-worker recommended me a refrigerator for wine, I was skeptical of his words, but then my wife and I came to visit his house. I saw the refrigerator and I realized how elegant and comfortable it is. So read a lot of wine cooler reviews in addition, my house had a bar for a long time, but the wine required precise temperature control. Why do I advise this model, NewAir AW-210ED because I bought it on Amazon, and don`t remember when I was worried last time about the safety of wine. Of course, there is only one thing, it's to go to the store and replenish supplies) During the heat, I dilute the red wine with a small amount of water, so did the Roman patricians. And this is the best way to fight thirst that I know.